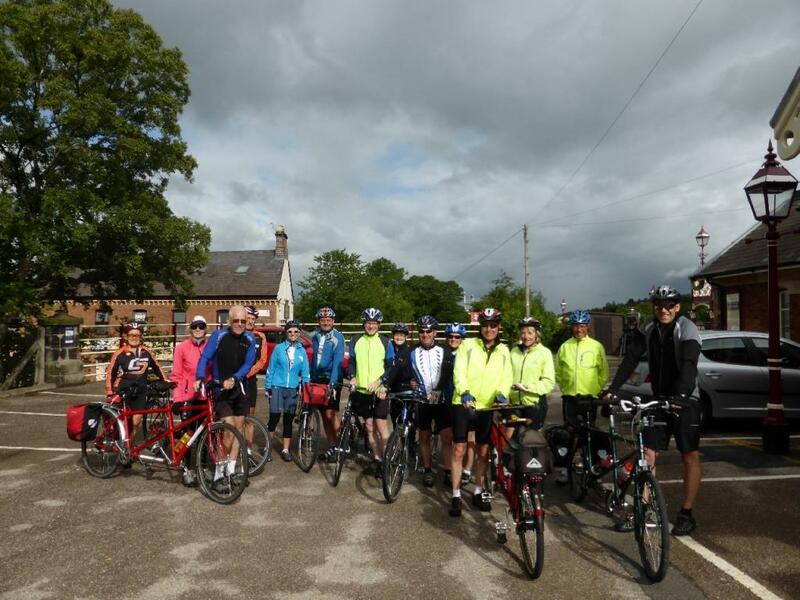 This year's ride out of Appleby-in-Westmoreland saw 7 Tandems and one solo cyclist meet up at Appleby rail station. Unfortunately our leaders, John and Alison couldn't make the trip so the honour fell to John and Ann. I won't mention how many times the map came out but a successful day ensued including morning coffee at Culgaith, taking in the stone circle 'Long Meg' (including a free lecture by John), lunch at Melmerby green and village bakery where Geoff and Elma turned up for a social. We thoroughly enjoyed the Cumbrian countryside and luckily the rain held off for the majority of the 37 miles. Even when it did occur it was only fairly light so by the time we finished at Croft Ends Farm, we were quite dry. Thanks to Dave, Lynn, John and Ann for once again providing tea and biscuits which was most welcome.